OLD ORCHARD BEACH, ME – The Old Orchard Beach Surge defeated the Aguada Explorers with a score of 9 to 0 on a cool summer night at The Ballpark. 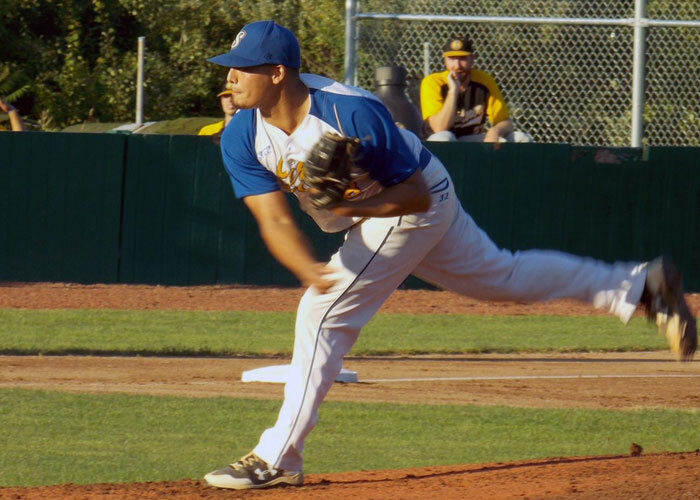 The Surge starter Alejandro Rodriguez threw a complete game shutout, allowing only three hits, striking out four, and not allowing any walks. The Surge were headlined by Nick McHugh and Daniel Dominguez, who each had three hits. Dalvin Ramos also had two hits on the night. Tony Holton made his debut for the Surge, compiling two hits including a triple, as well as driving in three runs. The Explorers had three players collect one hit each, and James Dockory led the team by reaching base twice. The Old Orchard Beach Surge move to (12-13) on the season and will face the Explorers again tomorrow for series finale.